The economically optimal use of ractopamine (RAC, Paylean) had been examined using a growth model for a single pig with average growth properties (Li et al., 2002). In reality, however, pigs are produced in groups, where, with All-in/All-out (AIAO) management, the group size equals the barn capacity. The turn-over of the barn depends on the marketing day of the last batch, not the pig with the average growth rate. In this research, the management of pig production with Paylean was investigated for a group of pigs using a stochastic growth model, which allowed each individual pig to have a unique body weight growth curve and carcass composition growth curve, and meanwhile reproduced the population mean and variance-covariance growth structure (Schinckel et al., 2003a). A bio-economic model was developed based on a stochastic growth model (Schinckel et al., 2003a), which incorporated the economic optimization principles of livestock replacement, swine growth under limited dietary lysine intake, and swine growth response to Paylean (Schinckel et al., 2003b). This stochastic bio-economic model was used to derive the optimal production and marketing decisions for grow-finish swine production with Paylean, which include both dietary lysine management and Paylean management. Because the model simulated realistic industry practices, the derived management strategies were more powerful than those derived from a single pig with an average growth curve. The model assumed an AIAO animal management and that pig producers would maximize the return for their facilities. Thus, the objective function of the model was set as maximizing daily return for a 1000-head grow-finish barn, i.e., the average barn size of the industry. Model parameters were estimated for modern high lean genetic populations raised under a segregated early weaning protocol (referred to as the SEW farm hereafter). The return was optimized under 10-year average prices and costs (Table 1). The price of Paylean was assumed to be $2.25 per gram. The optimal management was derived for four payment schemes, simulating producers with various marketing channels and market structures. They were: (1) carcass payment with discounts on underweight and overweight carcasses; (2) carcass merit payment system adopted from Hormel’s Carcass Lean Value Program (Table 2); (3) lean to fat price ratio of 2:1, with discounts on underweight and overweight carcasses; and (4) lean to fat price ratio of 4:1, with discounts on underweight and overweight carcasses. The carcass weight discount grid for payment schemes 1, 3 and 4 were also adopted from Hormel’s Carcass Lean Value Program, and was the standardized grid for the column of 0.51-0.90 inch last rib backfat (Table 2). Payment schemes 1 and 2 reflected the marketing approaches by independent producers. Payment scheme 3 simulated the producers under limited coordination with packers, while payment scheme 4 reflected vertically integrated producers, because the lean to fat ratio of 4:1 allowed producers to capture the full benefit of the increase in carcass value. 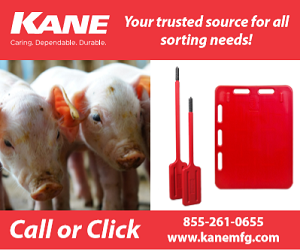 The model optimized the return for 50-day-old feeder pigs to market. The optimization for dietary lysine and Paylean concentration management focused on the late finishing pigs starting at age 101 d (with an average weight of 146 lbs for SEW gilts). Pigs were assumed to be fed with 3 diets from 101 d of age to market, with switching days for diet 2 and 3 optimized by the model. For RAC-treated pigs, the second and third diets contained the same concentration level of Paylean. The starting weight for RAC was restricted to be greater than 150 lbs and accumulative weight gain on RAC was restricted to be less than 90 lbs, with the restrictions reflecting FDA’s regulations on Paylean usage. It was assumed that pigs were marketed by semi-truck with a capacity of 170 head. Thus, the 1000 pigs were to be marketed in six truckloads. One or more truckloads can be marketed on the same day. Therefore, the resulting marketing batches for the 1000 animals can be less than or equal to 6. The model specified that pigs must be marketed as long as the number of pigs heavier than the sort weight (also a variable to be optimized in the model) exceeded one truckload, except that pigs can be marketed in the last batch regardless of the weights. Labor cost was already included in the daily variable cost, so no extra labor cost was included in the marketing management. To summarize, the variables to be optimized in the model were: dietary lysine concentrations for three diets, the optimal starting days for diets 2 and 3, six optimal marketing days for each truckload, and an optimal sort weight. Since the RAC starting time was the same as diet 2, it was optimized together with the onset day for diet 2. Paylean feeding duration equaled to the sum of the feeding duration for diet 2 and diet 3. Therefore, the RAC feeding duration and marketing days were optimized together. Model predictions for SEW gilts are reported as a demonstration of how production and marketing strategies for swine production were optimized in the model. Tables 3 and 4 display the optimal production and marketing management of SEW gilts under control and Paylean treatments, respectively. It was optimal to market control pigs in three batches under payment schemes 2, 3 and 4, while under payment scheme 1 pigs were marketed as 4 batches (Table 3). The optimal marketing age for the last batches ranged from 162 to 166 days of age, with the earliest age associated with scheme 4. The marketing day for the first batch was in a close range of day 153 to 155 across marketing schemes. For batches other than the last one, the number of pigs to be marketed was 170 head (i.e. one truckload). Thus, there were always multiple truckloads for the last batch. Without Paylean supplementation, the dietary lysine concentration in each diet and the optimal time to start each diet were similar under each payment scheme. For pigs fed Paylean, the optimal number of batches was two for payment schemes 2, 3 and 4, and three under payment scheme 1. Therefore, pigs were marketed in fewer numbers of batches when fed Paylean. As with control pigs, the optimal number of pigs per batch was 170 head for the first few batches and always multiple truckloads in the last batch. The marketing ages for the last batch ranged from day 155 to 160, which was 5 to 7 days earlier than control pigs. The sort weights for control and Paylean-treated pigs were very close, indicating the payment grid was important in determining the optimal market weight. For control pigs, the optimal return per day per barn ranged from $230 to $302 under the assumed average economic conditions (Table 3). Because SEW gilts are relatively lean, the returns were higher with higher lean to fat price ratios. Numbers of underweight carcasses were calculated to be from 41 to 75 head, with the highest number associated with scheme 4 and lowest number with scheme 1. The numbers of overweight carcasses ranged from 42 to 92 head with the highest number belonging to payment scheme 1 and lowest to scheme 4. The amount of sort loss received were $938, $1327, $774, $929 under payment schemes 1 to 4, respectively. The sort loss of payment scheme 2 was higher than those of other payment schemes. There were two possible reasons for this relatively high sort loss. First, unlike the other three schemes, the discount rate in payment scheme 2 was not standardized. Second, under payment scheme 2, carcass fatness was discounted more severely than under other schemes. Table 4 displays the optimal return for pigs fed Paylean. The net return from using Paylean was estimated to be from $5,624 to $16,368 per year per barn (a 1000-head grow-finish facility). When converted to return per pig, these annual net returns from using Paylean corresponded to approximately $1.77 to $4.93 higher return per pig than control pigs. The net returns from using Paylean were always increasing from payment scheme 1 to 4, with a high lean to fat price ratio resulting in a higher net return. Sort loss from pigs with Paylean-treatment was higher than that for control pigs under each payment scheme. The numbers of pigs receiving discounts due to under- or over-weight carcasses were also higher for Paylean treatment. This indicated that with Paylean adoption and its higher returns, it was economically optimal to sacrifice some sort loss in order to market the pigs at younger age and have a faster barn turn-over. The optimal Paylean concentration ranged from 4.5 to 8.6 g/ton, which increased from payment scheme 1 to 4. Because higher Paylean concentration requires a higher lysine level, the optimal dietary lysine concentrations in the second and third diets varied considerably under each payment scheme. Paylean feeding durations for the last batch of marketed pigs varied slightly across payment schemes, ranging from 26 to 30 days and averaging at 28 days for all four payment schemes. The stochastic model indicates that pigs fed Paylean were marketed at a younger age than pigs without Paylean, as well as marketed in a lower number of batches. The returns were higher for the Paylean-treated group than for control pigs, and the estimated increase with Paylean adoption was $3.11/pig, averaged over the four payment schemes. 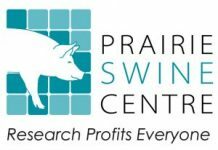 For swine production operations adopting Paylean, it is economically optimal to sacrifice some sort loss in order to market the pigs at younger age, realize a faster barn turn-over, and obtain a higher average daily return for the facility. Li, N., A.P. Schinckel, P.V. Preckel, Kenneth Foster, and Brian Richert. 2002.Profitable Use of Ractopamine in Hog Production – Economic Evaluation Using a Pig Growth Model. Purdue Swine Research. pp:80-84. Schinckel, A.P., N. Li, P.V. Preckel, M.E. Einstein and D. Miller. 2003a. Development of a Stochastic Pig Compositional Growth Model. The Professional Animal Scientist. Schinckel, A.P., N. Li, P.V. Preckel, and M. Einstein. 2003b. Development of a Model to Describe the Compositional Growth and Dietary Lysine Requirements of Pigs Fed Ractopamine. Journal of Animal Science. Source: Corn and hog prices are from National Agricultural Statistics Service (NASS), United States Department of Agriculture and soybean meal prices are from Agriculture Marketing Service (AMS), United States Department of Agriculture. Feeder pig and live hog prices are from Estimated Livestock Returns by Iowa State University Cooperative Extension Service. a Quoted at Decatur, Illinois. b 1.3¢ for weight range 55-90 lbs, 1.2¢ for 100-200 lbs, and 1.15¢ for 200 lbs and above. Source: Hormel Foods Corporation, Austin, MN. a Effective April 27, 2003.
a Return over control is calculated as the daily return of RAC-treated pigs minus that for control pigs under the same payment scheme, then the difference is multiplied by the number of days on feed for RAC pigs from a feeder pig of 50 days of age.